How Safe are Roller Coasters? Home » Entertainment » How Safe are Roller Coasters? If you have the nerves and the stomach for it, riding extreme roller coasters are as close as most people will get to riding in a fighter jet. Today’s thrill rides pull negative Gs, allows the rider to experience weightlessness, and cause a few thrill seekers to lose their lunch all over their lap. Today’s roller coaster is a far cry from the wooden ones along the pier. As roller coasters get increasingly technical, the demand for safety testing and its methods increase. This article will offer a short glimpse into the safety of roller coasters. There are several components that go into testing a rollercoaster. Some are as simple as the human eye inspecting a track, and others are more complicated, such as using devices like the SSM series Load Cell that are surface mounted on vital parts of the track to test for weaknesses and other flaws. In order for a roller coaster to work safely, it must be within a certain speed range and produce the right amount of pressure at specific points in the journey. 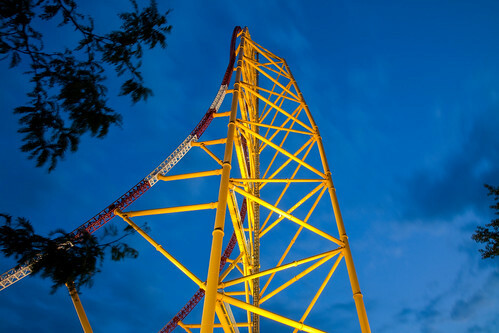 For example, the Top Thrill Dragster is a ride at Cedar Point that goes from zero to 120 MPH in less than 4 seconds. Almost 3 seconds later the riders find themselves 420 feet in the air. From a standing point you are launched forward, then straight up, and then straight down. Considering the high speeds, the force in varying degrees of pressure, and the track’s angles, it is vital to the roller coaster’s integrity and the rider’s safety that the track be tested daily, in various points, and throughout the day (ever wonder why you see an empty car going for a ride, that’s why). The short answer is yes, but the long answer is “it depends where you go”. If you are going to board a roller coaster at some backwoods traveling carnival of gypsies in the Deep South, the bet is pretty safe that they do not adhere to the same rigorous tests and safety checks that big players like Disney Resorts, Busch Gardens and Six Flags follow. In an article published by How Stuff Works, the author sources the International Association of Amusement Parks and the U.S Department of Transportation to state that in one year alone, 335 million people visited U.S. theme parks. A study that year by the Consumer Product Safety Commissions found that around 6,500 people sought medical attention every year for theme park related injuries. Of that number about 130 required overnight hospitalizations, making your risk of serious injury just from stepping foot into the park 1 in 25 million. Furthermore, the chance of receiving a fatal injury at a theme park is 1 in 1.5 billion, by comparison of 15 in 10,000 to die in a car crash. So really, thanks to the high safety standards and the mechanical and electrical equipment that go into testing these rides, you are considered to be pretty safe.